When you are headed to the beach in Wailuku, HI, and you suddenly realize you've forgotten one of the essentials, there’s no need to go all the way back home or to one of the overly crowded shops. Instead, stop by your local convenience store, Uptown Chevron Food Mart & Car Wash. They carry every must-have item you need for spending a day on the beach. Best of all, when you are ready for a snack, the restaurant carries all of the local favorite foods, including musubi, bentos, and butter mochi. Sunscreen: This should be número uno on your beach checklist, but it is understandable that it might have slipped through the cracks. You might have also forgotten the bottle in your beach bag was empty. Either way, you don't have to go far to ensure your skin is protected from the sun’s rays. Hat & Sunglasses: The reflection of the sun onto the sand and water is not only harmful to your skin, but it can cause serious damage to your eyes if they aren’t protected. Make sure you wear sunglasses at all times on the beach, and to fully protect your vision, put on a hat for good measure. T-Shirt: Sometimes people forget to grab an extra shirt for when they are leaving the beach. This comes in handy if what you originally showed up in is now soaked. At the Uptown Chevron Food Mart & Car Wash convenience store, they carry a selection of T-shirts to give you something nice and warm to wear as you visit the Wailuku area or for your drive home. Uptown Chevron Food Mart & Car Wash is more than your typical gas station. The helpful staff strives to provide customers with a variety of products at competitive prices, and the restaurant rivals other local establishments. 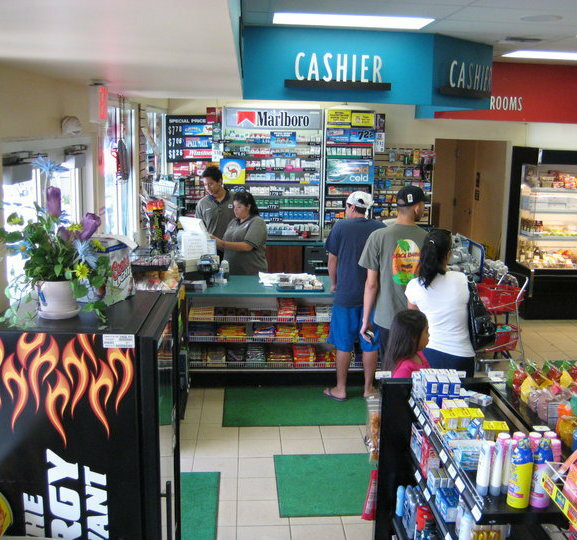 When you are in the Wailuku area, stop by this convenience store to have all of your needs met. To learn more, call (808) 244-0869, or visit the store online for additional information.